It’s a new week, so let’s start it right. Unfortunately our corporate work environments can breed negativity. Negativity spreads like a virus. People get criticized and told what they do wrong way too often. This is very damaging to the self-worth and self-confidence of a person and most likely won’t help to achieve improvements along the way. Why is it so difficult to accept people just the way they are? We may not understand them at first but that’s when we can become curious. What is the thought process of the other person? Who determines what’s right and what’s wrong? We all make mistakes and there is nothing wrong with that. People are not their mistakes. They can learn from them and make things better. It is important that we help others to learn and to grow. There is a big difference between a fixed mindset and a growth mindset. What would our work environments be like if everyone would have a positive intention when coming to work? This week I want you to be 100% focused on yourself. Can you wrap your mind around that? Observe yourself. How often are you tempted to drive the BMW (blaming, moaning and whining)? Is it easy or difficult to stay kind and positive? Remember that complaining about complaining is also complaining. Learn to notice the difference. 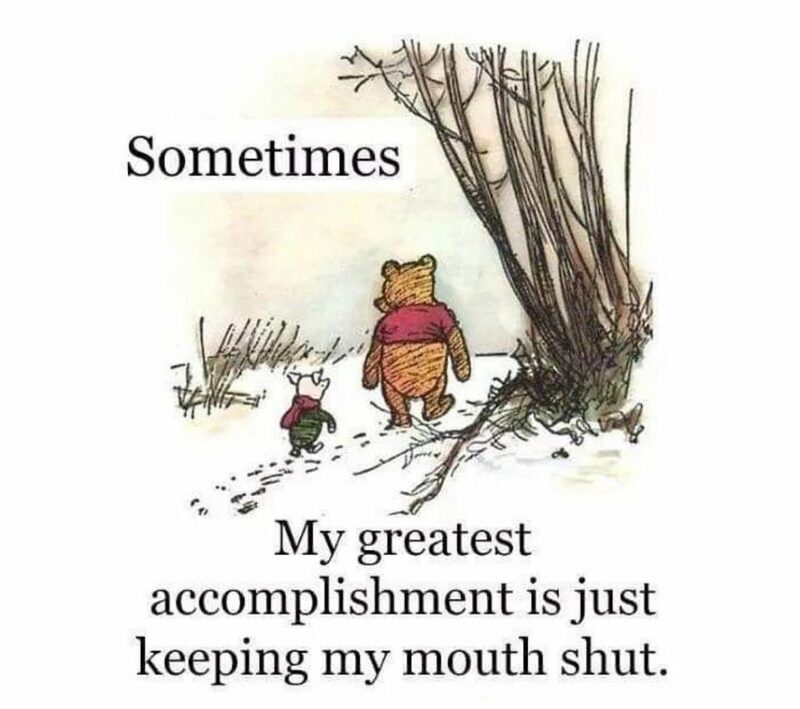 Keeping your mouth shut can be an awesome accomplishment.